What does this mean to the average author? As newer Kindles are purchased and gifted this holiday season, and older ones are upgraded, more and more readers may complain that their ebooks "no longer work." Amazon has helpfully provided a "feedback" link to readers to inform them of formatting problems. Amazon can yank your ebook off sales until you fix these formatting problems. See Article here. Amazon can and will continue to change their software with no guarantee that previously generated ebooks will be compatible with the new versions. While it would be nice if Amazon provided a conversion program from old Kindle version to new, in the meantime, authors should contact their ebook formatters and make sure their .mobi files are compatible with the new standards. If you have this issue, don't feel bad. Even J.K. Rowling's latest book had the font size problem. See Article. Questions, comments? A good HTML editor is Notepad++ (free and easy to use). Hi Diana. I don't know. Eventually they will fix this bug, so it won't be an issue. It's just that KF8 was supposed to be for Kindle Fire and now they have ported it to the older eInk Kindles where the problem shows up. KF8 opens a more dynamic experience for book readers and creators, akin to how HTML5 makes multimedia-rich websites easier to create, so in the long run the change is worth it. Painful for some, but worth it. I learned while creating my e-books that leaving out font information is best because Kindle users customize their reading experience, anyway. I use CS4 (InDesign) and define styles with it that exclude font information. The NCX file is generated by CS4. All I have to do is break the text into chapters. CS4 is a steeper learning curve than many authors are willing to climb -- I learned how to use while working for my college newspaper. By the way, Amazon makes a plug-in for InDesign that converts files to .mobi. Amazon also offers a book previewer to DTP authors, and one of the options is to preview mimicking the Kindle Fire. I suggest for anyone worried about their e-books being unreadable: use the previewer. 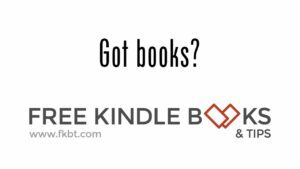 They might also consider posting an offer in the Kindle forum at Amazon or at Kindleboards.com to give a copy of your book to someone who has a Fire, in return for them checking for formatting errors. Mobilereads is another good site for connecting with Kindle users. I don't use Word for my e-books, but I read that the TOC can be created with bookmarks and generated by building a page of links associated with the bookmarks. In CS4 I create the TOC by using specific styles for chapter headings and subheadings. The software then checks the document for those styles and creates the TOC based off them. It's easy now, but I put some sweat and tears into learning the software, and I'm still far short of the pros I know. They must be salivating over KF8. Once publishers really realize what it can do, I bet they will pour resources into taking the lead, which means hiring people who can exploit KF8. By doing so they not only differentiate their books from other publishers, they rise head and shoulder above authors still using Word for their e-books. Jim,you are probably right that people who used the Indesign plugin are okay. I had several authors send me files that checked out okay. I think the problem is prevalent among people who saved Microsoft Word doc into HTML and either uploaded the HTML directly or used Calibre or Kindlgen to generate their .mobi file. In both cases the HTML file would have all of word's style sheets, including font sizes. Hi there,such an extraordinary post.KF8's fixed layout is like Apple's fixed layout,however as opposed to having a xHTML file for each one page,there is a file for each one spread.For KF8,you ought to utilize percentages rather than pixels for future-proofing.KF8 fixed format likewise has some additional code for magnified text boxes.Good day.